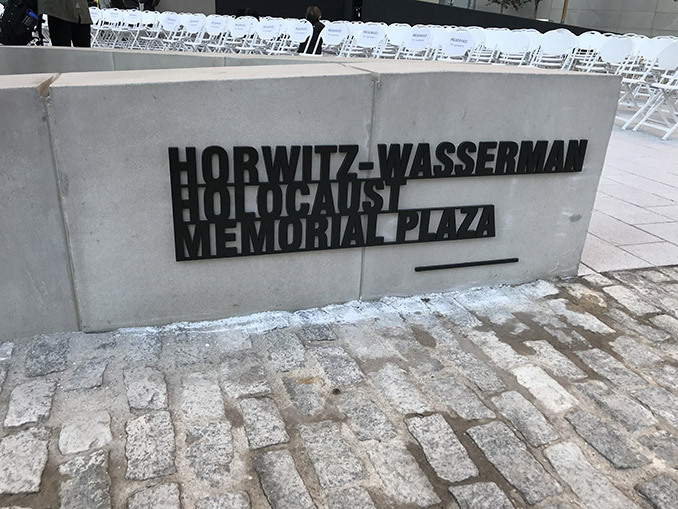 WRT and The Philadelphia Holocaust Remembrance Foundation (PHRF) celebrated the grand opening of the Horwitz-Wasserman Holocaust Memorial Plaza, the long-awaited expansion to the existing public plaza surrounding the Monument to Six Million Jewish Martyrs at 16th Street and Benjamin Franklin Parkway in Philadelphia. Joining WRT and PHRF at the groundbreaking ceremony were dignitaries including U.S. Congressman Dwight Evans, Philadelphia City Council President Darrell Clarke, State Senator Larry Farnese, Philadelphia Parks and Recreation Commissioner Kathryn Ott Lovell and Center City District CEO Paul Levy along with several Holocaust survivors, including Anneliese Nossbaum of Jenkintown, who survived Theresienstadt and Auschwitz and whose testimony is featured in the IWalk app. 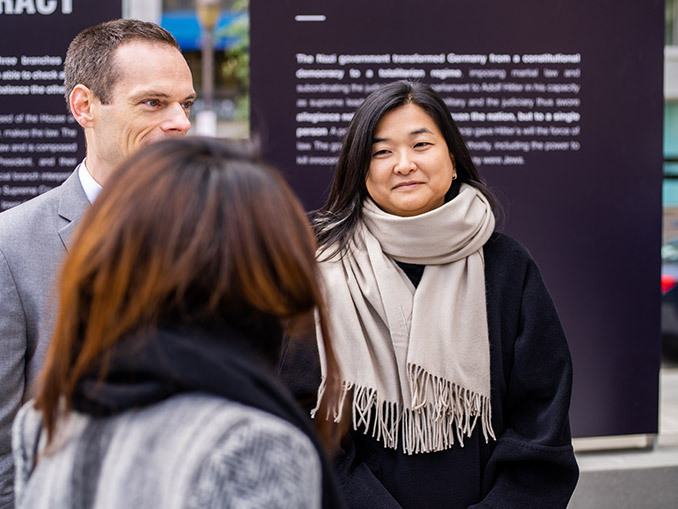 The thought-provoking public plaza, which was designed by WRT, offers a fresh approach to Holocaust and genocide education, incorporating interactive technology with material reminders of the Holocaust. 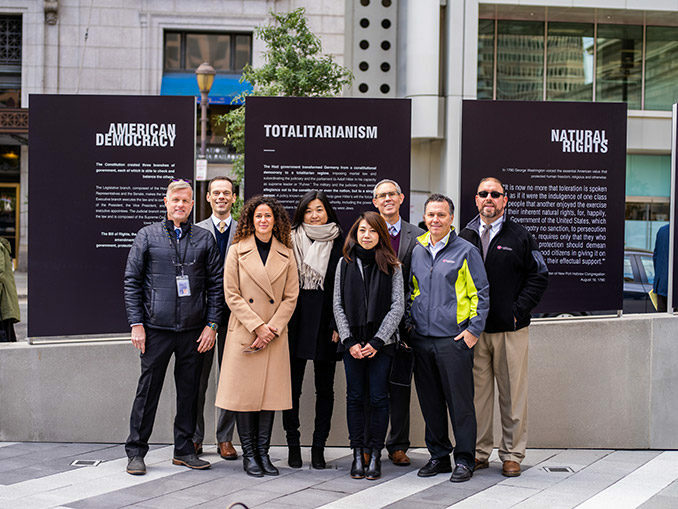 Situated in the heart of Philadelphia, the birthplace of American democracy, the Plaza will demonstrate how commitment to American constitutional protections and values will help safeguard the United States from the evils of totalitarianism. For PHRF, the ribbon-cutting event represented the culmination of a years-long effort to enhance the plaza housing the Monument to Six Million Jewish Martyrs – the first public Holocaust memorial in North America – and create an educational outdoor experience where Philadelphians and tourists can reflect on the universal lessons of the Holocaust and learn the importance of combatting hatred and bigotry. 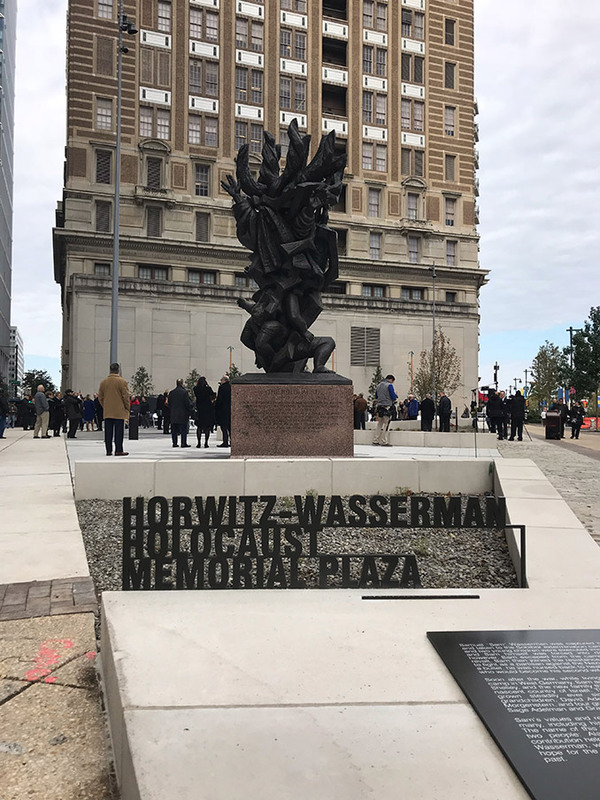 The Plaza’s centerpiece is the “Six Pillars,” which memorialize the six million Jewish martyrs of the Holocaust. 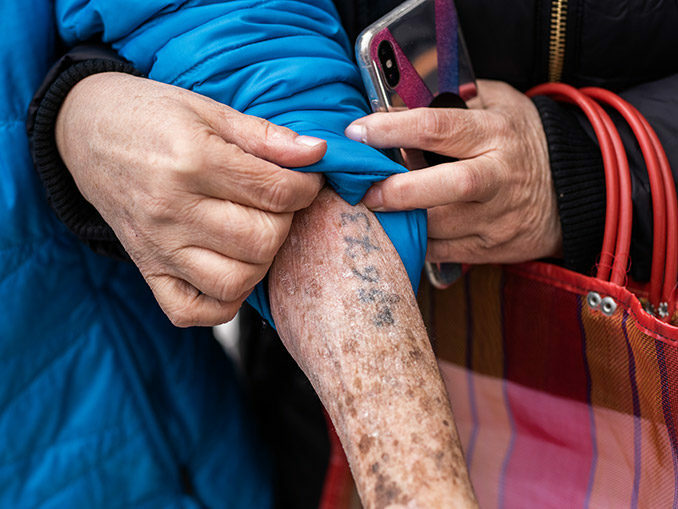 Presented in pairs, the pillars contrast atrocities of the Holocaust with American constitutional protections and values to demonstrate that so long as the United States remains faithful to the Constitution, a genocide like the Holocaust will not occur here. 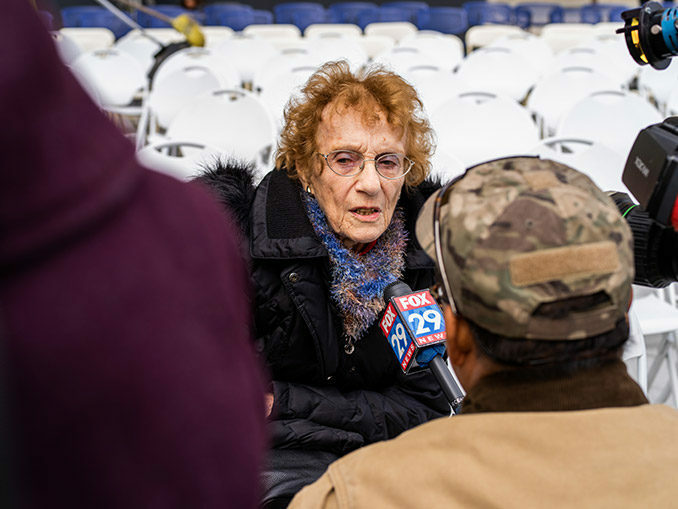 The six pillars feature quotes from important American figures including George Washington, Dwight Eisenhower and Philadelphia native and concentration camp liberator Leon Bass, to communicate the messages that must be taught in the quest to conquer hatred. 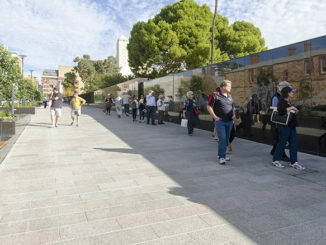 In addition to the Six Pillars and the Monument to Six Million Jewish Martyrs, historical and interpretive elements at the Plaza include original train tracks from the railroad to the Nazi death camps, which serve as a powerful reminder of the millions of victims who were deported to labor and death camps. 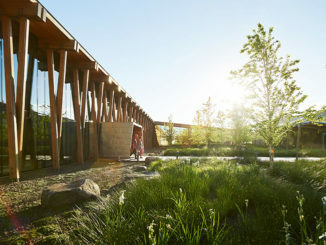 Near the train tracks is the “Theresienstadt tree,” a sapling of the tree nurtured by children in the Theresienstadt camp who recognized that they were unlikely to live long enough to see it mature. This iconic tree serves as a symbol of life and hope for future generations. At the far western portion of the Plaza, a tree grove represents the woodlands that sheltered the brave heroes of the resistance movement. 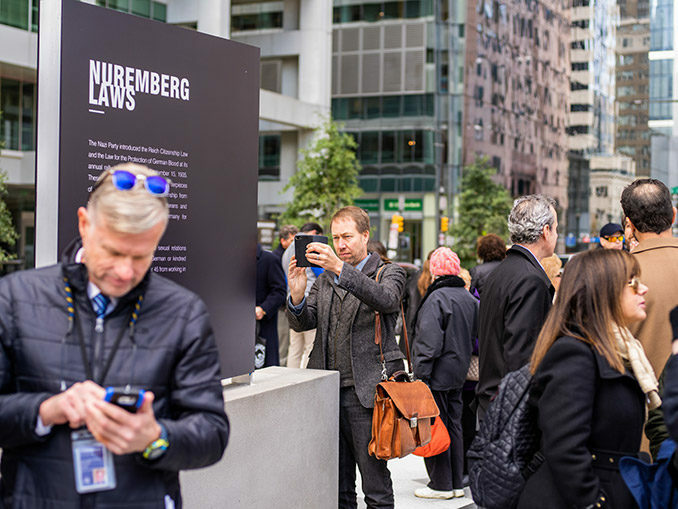 The Plaza will also feature educational, multimedia content via IWalk, a USC Shoah Foundation-developed mobile app that connects specific locations at the Plaza with personal testimonials of Holocaust survivors and other witnesses. 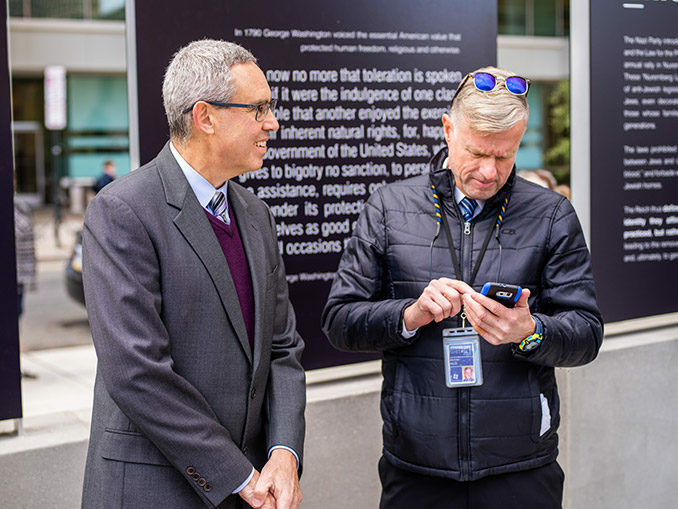 The app guides visitors as they move through the Plaza, providing explanations about each interpretive element, as well as personal stories by survivors, maps, photos and other multimedia. The app is available in English and Spanish, and provides each user with an age-appropriate, customized experience. 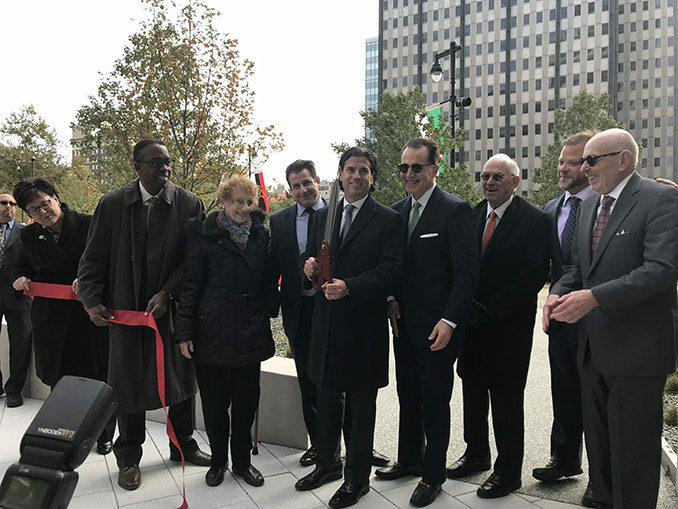 The Plaza is ground leased from the City of Philadelphia’s Department of Parks and Recreation, and is funded by donations from business and civic leaders and a RACP grant from the Commonwealth of Pennsylvania. The hard costs for the Plaza’s construction have been fully funded, and the PHRF is continuing to raise capital for an endowment to ensure that the Plaza is properly maintained and programmed in the coming decades.